This is a sponsored post written by me on behalf of Mambo Sprouts. The opinions and text are all mine. Now that we’re well into May and it seems like we’ve jumped right to summer, I’m gettin’ all kinda of ideas for nice cream sundaes. If you’re new to the nice cream game, welcome to your new summer obsession. If you’re been nice creamin’ it up for a while now, oh it’s game on. May is also Allergy Awareness Month, and what better way to celebrate that than with some a delicious allergy free sundae?! So for this post I’ve teamed up with Mambo Sprouts this month to share the word about their May Free From Month for us peeps who suffer from food allergies (and for those looking for some new, delicious products that just happen to be allergy free!). As someone who does have many, I am so passionate about this campaign and was so on board to share it with you! They’ve teamed up with some UH-MAZING brands who are also participating in this Free From Month. Some of these brands I’ve been loving since I have discovered them, and others I was SO excited to try. And you better bet I added almost all of them in my Cherry Chocolate Nice Cream Sundaes. Let’s take a closer look! So a brand that I’ve been in love with since the beginning of my gluten-free, dairy free journey is Enjoy Life. Their chocolate chips have been a life saver- because I LOVE chocolate! Now, they have many other products that I love- including bars, candy bars, cookies, and protein bites (all drool worthy!). 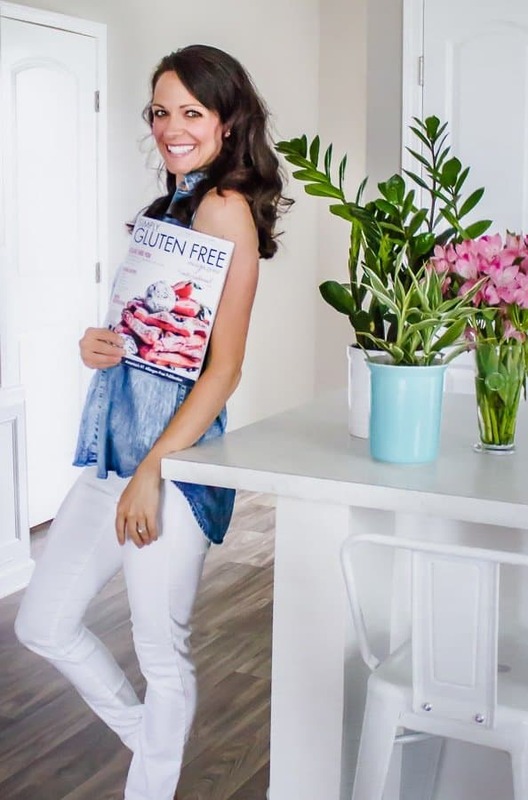 Not only are they gluten and dairy free, but they are free from 14 common allergens wheat, peanuts, tree nuts, dairy, casein, soy, egg, sesame, sulfites, lupin, mustard, fish, shellfish, and crustaceans. Pretty unreal, right?! Oh- it’s real though. Back To Nature Foods I’ve been enjoying for a while now and is my go-to for crackers! I also enjoy their granola. What I love about Back to Nature Foods is not only are they gluten-free, but they are also verified non-GMO. Another brand I’ve recently discovered is Made Good Foods! Their granola bars, granola minis, and crispy squares are delicious and free from the 8 most common allergens; peanut, tree nut, soy, dairy, egg, fish, shellfish, gluten, and sesame! The last two brands are completely new to me and I am so grateful that Mambo Sprouts introduced me to them! They are seriously going on my list of ‘obsessed with’. Free2b Foods create the most delicious treats free from the top 12 allergens- peanut, dairy, gluten, tree nut, coconut, egg, sesame, soy, mustard, corn, fish, and shellfish. I had the pleasure of trying their sun cups and blueberry crunch snack breaks (chocolate brittle type treat! ), but will definitely have to try their chocolate bars soon! Lastly, I was super surprised to be shipped a package with dry ice, which can only mean one thing… ice cream!!! If you saw my story on Instagram I was nerdily excited about it, haha. This was also a first-time introduction, and now allow me to introduce you to Perfectly Free! These allergy-friendly frozen desserts are seriously just what I’ve been looking for! Not only do they have ice cream, but they have frozen bites and frozen fruit bites as well! They are free from the top 8 allergens, and vegan friendly! Now you might be super thankful to know about these delicious allergy-friendly brands, but I have even better news for you! COUPONS to try these delicious brands yourself! You could also win some of these amazing allergy free products at the live #LiveFreeFrom event show above hosted by Mambo Sprouts on their Facebook page! In your blender, blend all ingredients (except the toppings) until smooth, adding a little bit of chocolate milk at a time. Separate into bowls, top with toppings and enjoy immediately! The “nice” cream recipe sounds delicious and I can’t wait to try it over the weekend with this heat wave coming! I love myself a great mixture of fruit and chocolate! Ugh I know- it’s going to be hot hot hot here this weekend! I hope you enjoy it! It’s cool and refreshing!